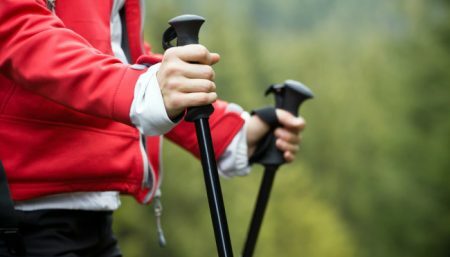 Exercise plays an important role in building bone in childhood and adolescence, maintaining bone before 50, and slowing down bone loss after 50. But exercises are not equal. Brisk walking (as if you are late for an appointment) for 30 minutes four days a week can help reduce bone loss before and after menopause. A study found that women who regularly walked 7.5 miles a week lost bone at a slower rate (four to seven years longer) than women who did not walk. Many doctors recommend walking at least 20 minutes a day. Walking is the easiest exercise program to begin. You can walk anywhere, any time, without health club expense or high-priced equipment. Committing to just 30 minutes a day, three days a week, assures us of adequate aerobic conditioning. Walking is also an insurance policy against a crumbling skeleton as it minimizes and combats osteoporosis by actually strengthening our bones. A healthy walk workout starts with good posture. Maintaining correct posture shaves years off our appearance. Combining posture with exercise brings us an appealing, years-younger look. For proper posture, stand erect, keep chin parallel to the ground, and pull your head back so your neck is in alignment with your spine. Pull shoulder blades together, and relax your shoulders and hips. Tuck in your tummy and straighten your back, and pull your buns in so the small of your back doesn’t sway or bow. Expect to feel uncomfortable and awkward-looking for a while as you practice good posture. To test your posture, stand with your back against a wall and see how much of your back and shoulders touch the wall. Lifting your arms out to either side provides stretch as well as an additional posture checkpoint. With posture in place, begin your walking experience. Proper shoes, designed for walking, are a good investment. Beyond that, dress appropriately for the workout, expecting to shed a layer as you warm up. After gently limbering up, start moving! Take quicker and shorter strides for less jarring of the body. Walk with the heel leading. Bend arms at 90 degree angles, and allow to swing naturally. One woman named, Dorothy, was diagnosed at age 60 with dangerously high blood pressure, took the pricey prescription until her insurance no longer covered the cost. With her doctor’s approval and monitoring, she bought good walking shoes and hit the road. Within one month of regular walking, Dorothy lowered her blood pressure and her cholesterol to a normal range, got off the medication, improved her overall fitness, and brightened her outlook on life. Now a spry, energetic, healthy lady, her walk is the highlight of her day. Also, a 60-second run in the middle of your walk should be enough to signal bones to add mass. Walking a mile in 30 minutes burns 120-180 calories. Walking decreases depression and stress. Walking exercises 200 bones and over 600 muscles. Walking regularly decreases risk of heart disease. Exercise can help you build strong bones and slow bone loss. 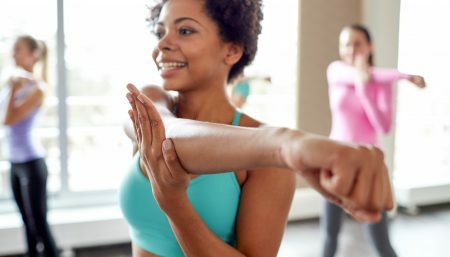 Exercise will benefit your bones no matter when you start, but you’ll gain the most benefits if you start exercising regularly when you’re young and continue to exercise throughout your life. Combine strength training exercises with weight-bearing exercises. Strength training helps strengthen muscles and bones in your arms and upper spine, and weight-bearing exercises — such as walking, jogging, running, stair climbing, skipping rope, skiing and impact-producing sports — mainly affect the bones in your legs, hips and lower spine. Swimming,cycling and machines such as elliptical trainers can provide a good cardiovascular workout. It’s never too late — or too early — to do something about osteoporosis. You can take steps to keep bones strong and healthy throughout life.